Dr. V. Miles at NERSC, will manage the project and coordinate the efforts of the participants. She has 25 years of experience with environmental studies, remote sensing, and GIS. She developed an approach to combine used remote sensing and in-situ data to monitor the air pollution impact on vegetation (Miles et al, 2003), and later, contributed to enhanced synergistic approach to monitor Siberian forest. The most recent works of V.Miles connect to the local and regional vegetation change under the anthropogenic and climatic change issues (Miles, 2016, Miles 2019). She is studying effects on the Arctic urban climate (Miles., 2017) and perform high-resolution environmental risk assessment and management (Miles, 2019). 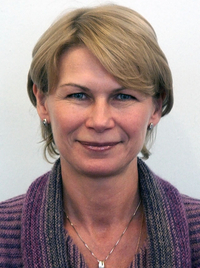 She has worked in several significant EU projects (EON +Nature 2000), the Belmont Forum HIARC project on ecosystems and social adaptation to the climatic and anthropogenic disturbances, and a series of COPERNICUS services. The last completed project (TRAKT-2018; https://www.nersc.no/project/trakt-2018) demonstrated, among other aspects, the feasibility and usability of the proposed synergistic approach (high-resolution observation, high-resolution modeling-risk assessment) in the case of the Arctic city, Russia. Varentsov M, Konstantinov P, Baklanov A, Esau I, Miles V, Davy R. Anthropogenic heating strongly amplifies the urban heat island in Arctic cities. Atmospheric Chemistry and Physics. 2018;18. Esau I, Miles V. Exogenous drivers of surface urban heat islands in Northern West Siberia. Geography, Environment, Sustainability. 2018;11(3). Esau I, Tolstykh MA, Fadeev RY, Shashkin VV, Makhnorylov S, Miles V, et al. Systematic errors in northern Eurasian short-term weather forecasts induced by atmospheric boundary layer thickness. Environmental Research Letters. 2018;13:125009(12). Varentsov M, Konstantinov P, Baklanov A, Esau I, Miles V, Davy R. Anthropogenic and natural drivers of a strong winter urban heat island in a typical Arctic city. Atmospheric Chemistry and Physics. 2018;18(23). Miles V, Esau I. Seasonal and spatial characteristics of Urban Heat Islands (UHIs) in northern West Siberian cities. Remote Sensing. 2017;9:989(10). Miles V, Miles MW, Johannessen OM. Satellite archives reveal abrupt changes in behavior of Helheim Glacier, southeast Greenland. Journal of Glaciology. 2016;62(231). Esau I, Miles V, Davy R, Miles MW, Kurchatova A. Trends in the normalized difference vegetation index (NDVI) associated with urban development of Northern West Siberia. Atmospheric Chemistry and Physics. 2016;16(15). Miles V, Esau I. Spatial heterogeneity of greening and browning between and within bioclimatic zones in northern West Siberia. Environmental Research Letters. 2016;11(11). Esau I, Miles V, Kurchatova A. Surface urban heat islands in northern cities. Report Series in Aerosol Science. 2016;180. Esau I, Miles V. Warmer urban climates for development of green spaces in northern Siberian cities. Geography, Environment, Sustainability. 2016;4(9). Johannessen OM, Korablev A, Miles V, Babiker M, Khvorostovsky K. Dynamic of tidewater glaciers in the Sermilik Fjord system and fjord-shelf interaction. In: Palaeoclimatology, oceanography and glaciology in the Helheim Glacier region WORKSHOP. GEOLOGICAL MUSEUM Øster Voldgade 5-7, 1350 Copenhagen K, March 25 and 26 - 2010: 2010. Miles V, Sandven S. EON 2000+ Earth Observation for Nature 2000+. 2004.